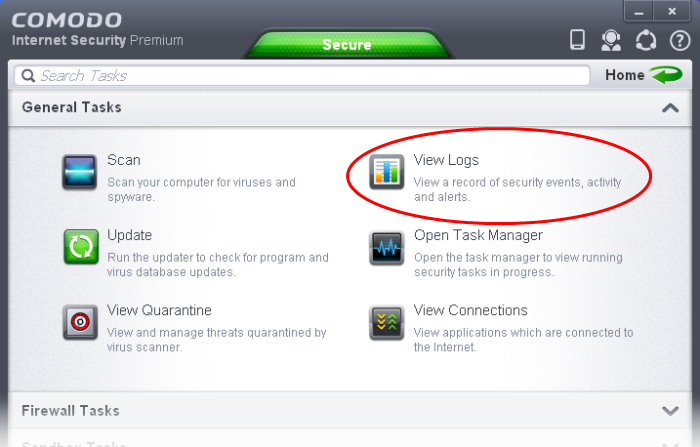 CIS maintains a log of events which can be viewed at anytime by clicking 'View Logs' from the General Tasks interface. 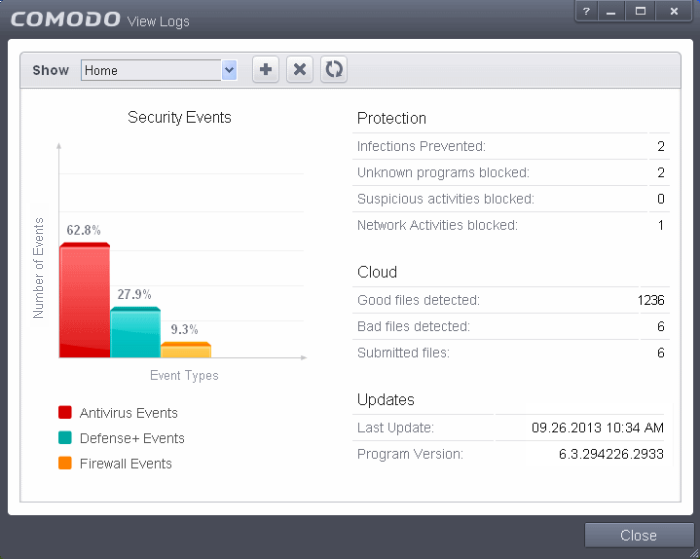 The left hand side of the home screen displays a bar graph showing a comparison of the Antivirus events, Firewall events and Defense+ events. The right hand side displays a statistical summary of the Antivirus, Firewall and Defense+ events, the results of cloud based scanning of your system and the version and update information of the CIS installation on your system. The interface contains a full history of logged events of Firewall, Defense+ and Antivirus modules. Select the module from the 'Show' drop-down at the top left to display that log type in the main window. To clear the logs, click the clear button . To refresh the logs, click the Refresh button .